and electrodes for gas tungsten arc welding. 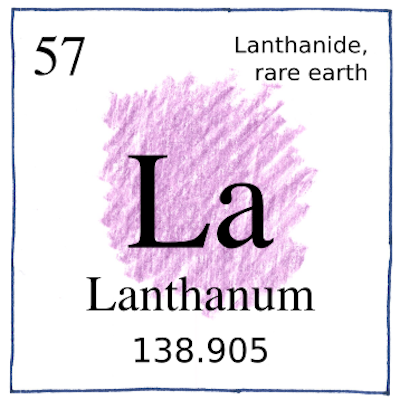 Lanthanum was the third rare earth that Mosander discovered, after yttrium and cerium. After this, Mosander discovered terbium and erbium. “Earth” is a term for a metallic oxide. They are called “rare” earths not because they are rare, but in the archaic sense of rare meaning “difficult.” They are difficult to separate.